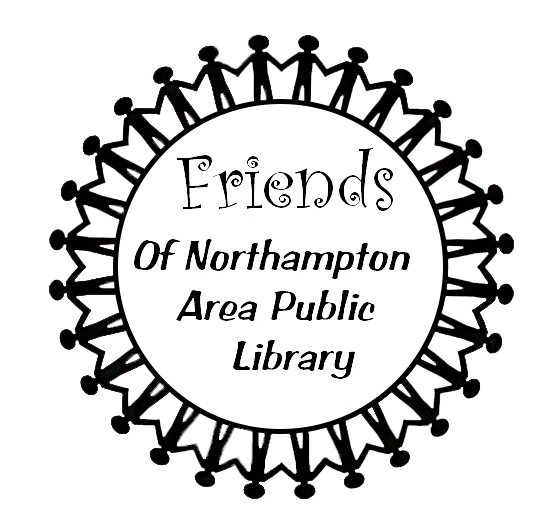 The Friends group is an association of concerned citizens who use their talents, skills, and interests to focus public attention on the Library through various means, such as fundraising, acquisition of items and/or services needed, community involvement through family events, bus trips, and more. We are always looking for new members. Membership is $5.00 per year for an individual or $10 per family. Meetings are held the fourth Tuesday of each month at 6:00 p.m.
Join us for our 2nd Sip & Shop! Enjoy light appetizers, an assortment of wines and other non alcoholic beverages, raffles, shopping and fun! Spaces available for $10 each. Donations for the Friends Tables will NOT be accepted until Monday, May 6. Tote Bags - $5.00 - NEW PRICE!